Joan F. Roth, 78, of South Haven, passed away Saturday, April 14, 2018 at River Ridge Retirement Community in South Haven. She was born March 22, 1940 to David and Mary Harris in Detroit, Michigan. Joan was a graduate of Concordia University in Ann Arbor, Michigan. 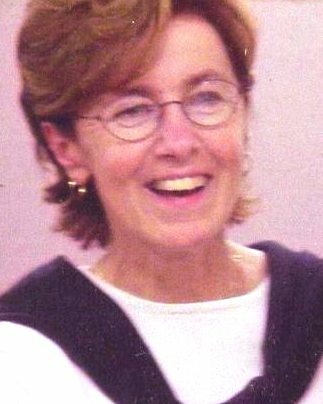 She worked as a District Manager for Rite Aid in Sacramento, California, and Saline, Michigan, retiring in 2003. After retirement, Joan moved to South Haven to be close to Lake Michigan. She enjoyed reading, watching TV, gardening, and going to the beach. Joan is survived by her children – James (Megan) Roth of Kalamazoo, Jill Holden of South Haven, and John (Brenda) Roth of Toronto, Canada, grandchildren – Cormac, Alexandria, Brigid, Derek, Liam, Brian and Padraig, Siblings – Richard Harris of Titusville, Florida and Barbara Harris of Brooklyn, New York. Visitation will be held from 1:00 PM to 2:00 PM on Wednesday, April 18, 2018 at Filbrandt Family Funeral Home in South Haven. Funeral Services will follow visitation at 2:00 PM with Father Jim Morris officiating. In lieu of flowers, memorial contributions may be made to Caring Circle Hospice – Hospice at Home, 05055 Blue Star Memorial Highway, South Haven, Michigan 49090. Kindly share your thoughts and memories on the family’s online guestbook at www.FilbrandtFFH.com.